Last night Matt, my roommate, Becky, and I went out to the "burbs" for the first Christmas party of the season. 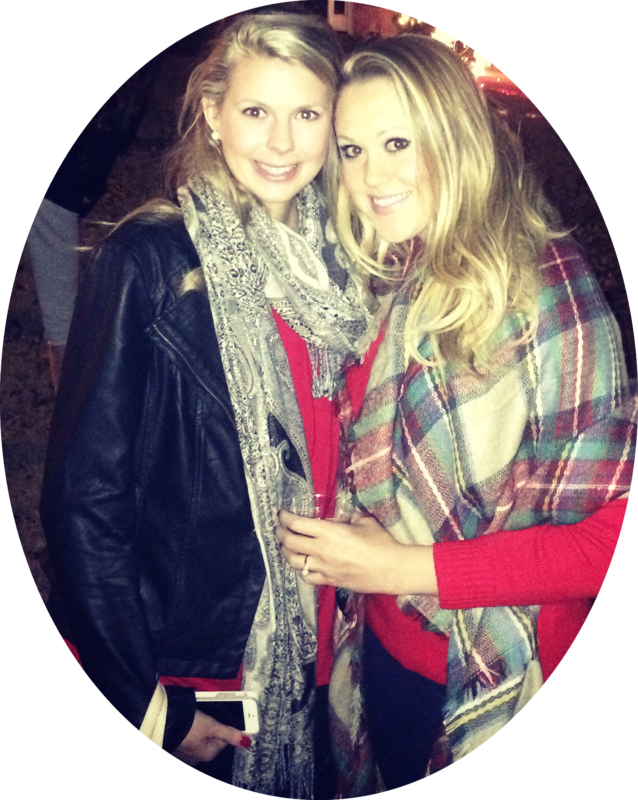 Our college roommate, Kelly, and her husband had a big get together for Kelly's 25th birthday to kick of the holiday season. They had all their family and friends over to watch the light show they set up in their front yard. They had been working on it for weeks. It was honestly just like the lights you see on YouTube set to Christmas music. I wore a red sweater from J.Crew Factory and my new blanket scarf that I got for almost nothing on eBay. Seriously, do not pay more than like $15 bucks for one of these because the one you'll get on eBay is literally the exact same thing as the Zara version and there will just be some new trendy item that everyone has to have next year. Also, Factory is having a huge 50% off sale for Cyber Monday, plus free shipping on orders over $50. Mid-rise jeans from Forever 21, boot cuffs were about $5 at T.J. Maxx, plus my trusty Frye boots that my parents gave me for Christmas last year. I changed my nail color to Essie's "Really Red" for the occasion. 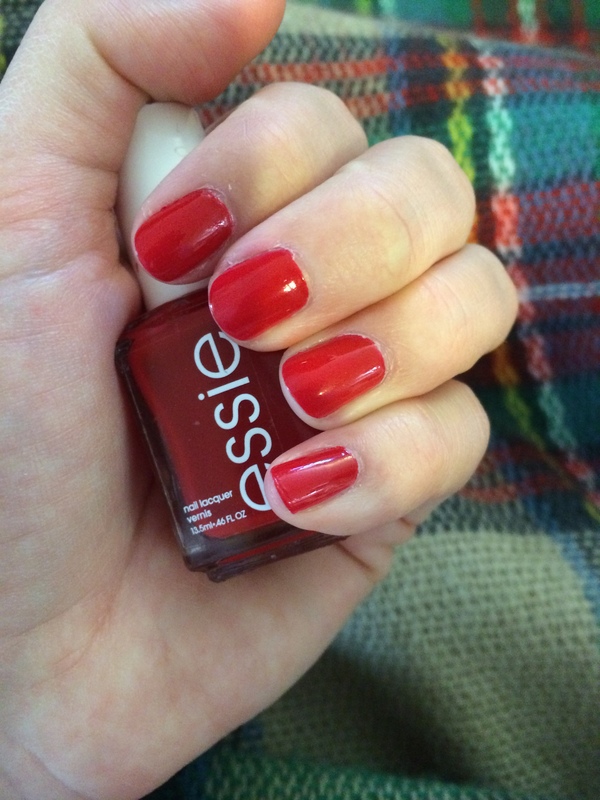 It's a great color for the holidays, plus it's just a very classic red, which is one of those colors that everyone who paints their nails often should have in their collection. Today I'm making an Asian-style beef and broccoli recipe. I've been craving it lately, but take-out can be so expensive, unhealthy, and then there are no leftovers. I already had some of the ingredients, like the soy sauce and garlic, on hand in my pantry. I'll probably make it again later this week since slow cooker recipes are a staple for me during exams and I need to have it several times to make it worth buying the sesame oil and dark brown sugar. I'll link the recipe I'm using, my sweater, and blanket scarf below, plus a similar sweater in black. Are y'all doing any Cyber Monday shopping? **edit: I didn't use the cornstarch the recipe calls for, and I used fresh broccoli instead of frozen. I put the broccoli in with the beef right at the beginning. Served over brown rice (I used Success rice that cooks in 10 minutes). I'm Alden, a recent law school grad living in Atlanta, GA. I've been in a serious relationship with clothes for as long as I can remember, so I created this site to share my love of getting dressed, style tips, and the occasional recipe or lifestyle post. Visit The Pricey Pauper Blog 's profile on Pinterest.